Direct Ocean 3 bedroom, 2 bath condo located in the iconic The Mark Condominiums. 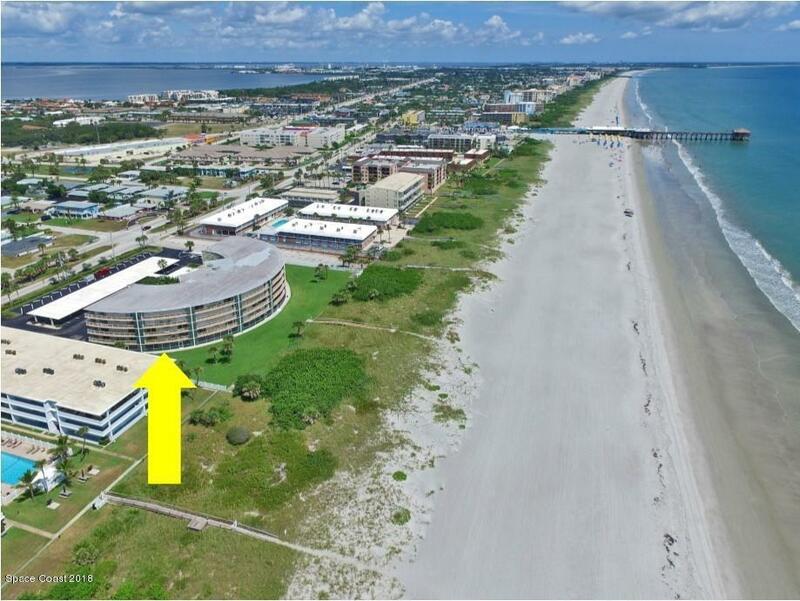 First floor, ocean front unit with easy access to the beach from your large screened porch is just a short stroll from the famous Cocoa Beach Pier. Spacious white kitchen will outdoor venting grill. Rare to have outside venting. Generous closet space, a separate laundry room with a second refrigerator, and plenty of space for guests makes this a perfect home or investment. Great potential and value for oceanfront location. Master, kitchen, and living area look out to the lawn providing natural light. Laundry room with storage. Community offers large heated circular pool, lush landscaping, and storage for all your beach toys. Easy stroll to shops & restaurants. Come experience the tropical Florida lifestyle!